We are delighted to announce its investment in Entomics, developing cutting edge solutions and technology within the rapidly growing insect bioconversion industry. The seed round funding is led by Metavallon VC and joined by strategic green and agritech co-investors. Founded by Matt McLaren, Fotis Fotiadis and Miha Pipan, Entomics is a biotechnology company aiming at the development of insect cultivation at a large scale, for the production of protein-rich feed for the animal farming sector. The company is tackling food waste and increased food consumption by developing natural bioconversion insect animal feed products and solutions. Although the market is less than a decade old, it is rapidly growing and by 2022 the process insect feed market is expected to reach $ 1bn in value. With a poultry and salmon focus, Entomics is the first company which enables on-site live insect production and raw insect meal to a functional feed with patented technologies, achieving reduced costs of production, better food conversion ratio and increased efficiency. Its first solution for an onsite insect factory introduces a scalable, independent solution using machine vision for autonomous decision making and cloud monitoring. The company’s second patented solution focuses on microbial bioprocessing to add functional value to insect meals converting low value biomass into higher value insect mass, rich in proteins, fats and chitin. These can in turn be used as sustainable inputs for a variety of sectors, most notably high-quality animal feeds demanded by the aquaculture sector & premium pet food markets. The funding will go towards expanding the existing team and accelerating commercialization. The trial system prototype is under deployment currently with 1 field partner, while large scale lab feed optimization trials are expected to be completed in 2019 as well. 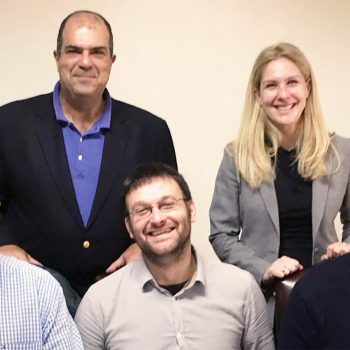 The company is expanding its team in Greece with additional hires as well as looking for manufacturing and other trial clients. “This investment is a genuinely unique opportunity as Entomics is disrupting the animal feed sector by introducing positive change to all stakeholders as well as the animals through a more nutritious, natural and organic fed diet. All this is achieved in a more sustainable and cost-effective manner to the current industry standard. After a long research and trials period, we are now entering an aggressive expansion phase commercially, while still improving our products. Our first onsite farm is due in the market this year and we already have key partnerships with Stonegate and University of Sterling”, mentions Fotis Fotiadis Entomics co-founder. “We believe addressing major sustainability goals can go hand in hand with investor value creation and are excited to be investing in Entomics. Central European companies are leading an exciting, expanding market at the moment, with solutions and technology laying the foundations for scaling up their industrial and commercial activity. The shifts in the regulatory environment since 2018 make the timing perfect to capture the market. We believe Entomics can use its well-rounded team, long biotech and engineering know how, data gathered and automations developed to develop full scale solutions that best tackle biochemical, logistics and engineering challenges. Our investment will go towards solidification of the solution at a prototype level and establishing market relations for large scale solutions in the next few years”, adds Myrto Papathanou, Partner at Metavallon VC. Metavallon VC is active in Seed investments such as Entomics, with rolling investment proposal submissions around the year. Interested companies are invited to submit their investment proposals here. The fund is also active in Pre-Seed investments, evaluated through cut off deadlines, next one up is June 2nd 2019. 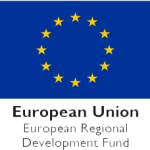 Interested companies are invited to submit their investment proposals here.